I got to hang out with some awesome bloggers at the Love Lago Blogger Event. I grabbed some drinks with friends to get out of a foul mood. 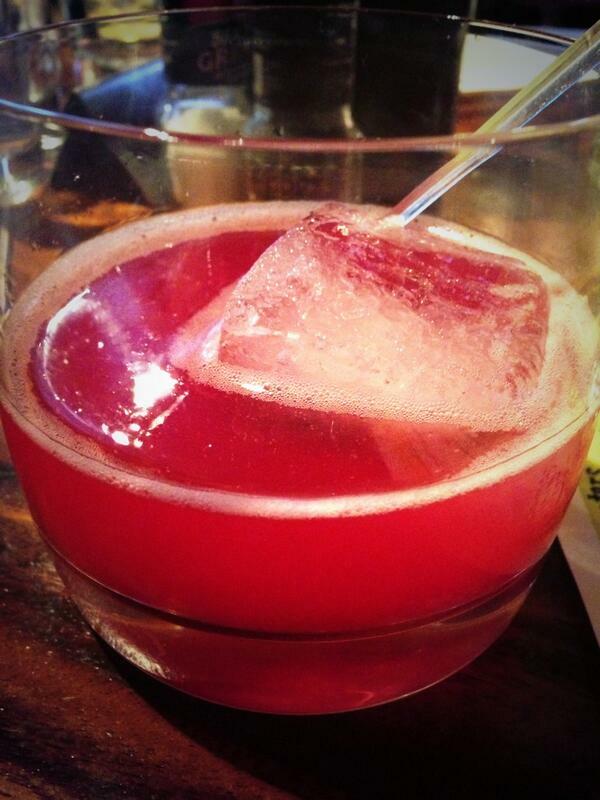 Hot pink drinks immediately help any mood. 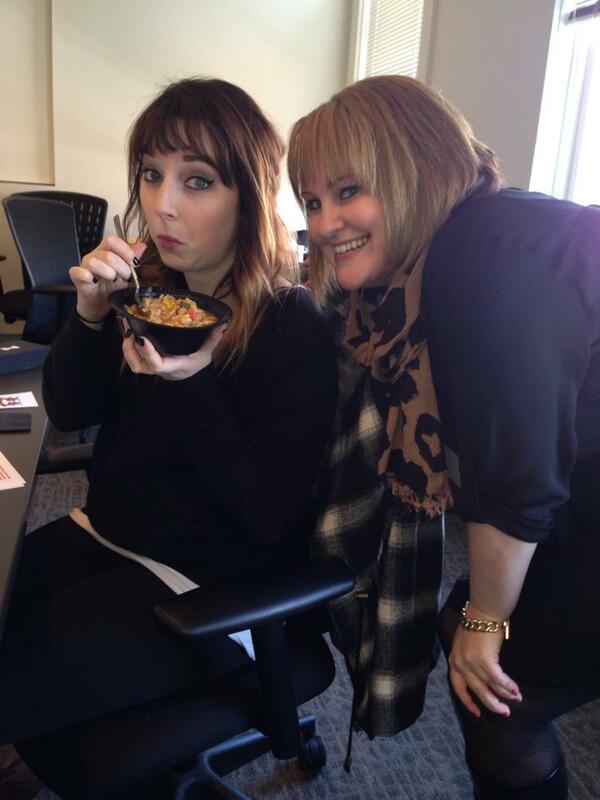 I got to see some friends when they visited my work to judge our annual Chili Cook-off and Sweets Bake-off. Of course Sam won. 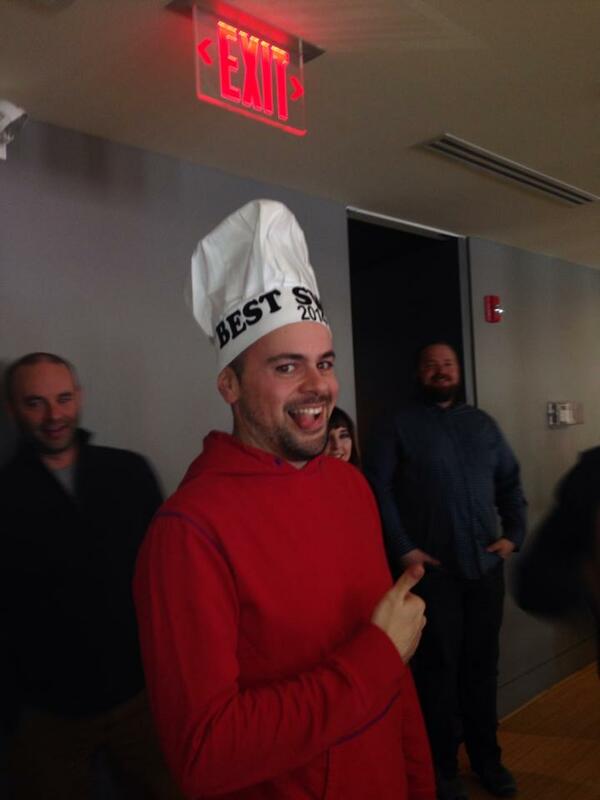 Also – try to take a conference call seriously when someone is wearing a chef hat during it. I enjoyed a lovely Thursday night being pampered by my friend (since 1997!!) Jessica at Bobbi Brown getting a make-up trial for JBB with Kimberly. Grabbing a small bite to eat and drinks had to happen, along with plenty of girl chat. I heart these ladies. And I spent a Saturday pampering myself – lots of errands, a facial, a dress for the ADDYs, new shoes, some new makeup and clothes shopping. Now…it’s time to prep for a crazy (hopefully fun) week ahead. It’s the 2013-2014 AAF ADDY Awards on Thursday and Saturday is my favorite CLE event – Jump Back Ball 23! Disclosures: 1. I’m a Charles Scott Brand Ambassador, all opinions are my own though. I wouldn’t keep going back if they didn’t do an awesome job. 2. I’m a social media consultant for Lago. 3. 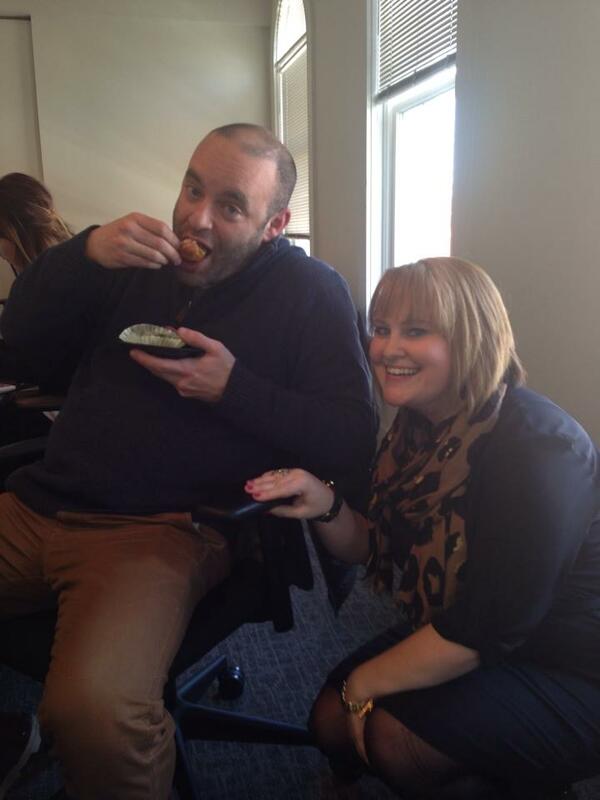 I’m not required to post anything for work…but the chili cook-off was a good time. 4. 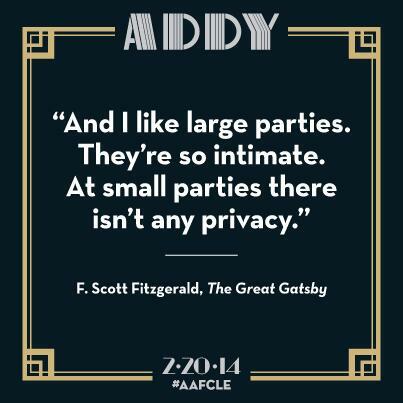 I’m the 2013-2014 ADDYs Co-Chair for AAFCLE. 5. I’m a blogger for Playhouse Square’s Jump Back Ball but again – all opinions are my own and it’s seriously always been a favorite event of mine. This entry was posted in Uncategorized and tagged CLE Events, Downtown C-Town, Friendship, Me, Memories, Overheard in the Workplace, The CLE. Bookmark the permalink.